Albany, NY – September 28, 2015, Blasch Precision Ceramics, Inc., an Albany-based ceramic technology manufacturer, announces the passing of Board member Mike Dranichak. “Mr. Dranichak was a highly respected board member with comprehensive manufacturing knowledge and business experience. 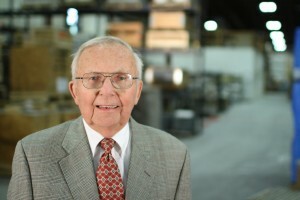 Our thoughts are with Mr. Dranichak’s family”, said Blasch’s President and COO Jack Parrish. Mike Dranichak was the founder of Crellin Corporation, now Sonoco-Crellin Inc., a Senior Vice President of Operations of Albany International Inc. and a Chairman of L&B Industries.